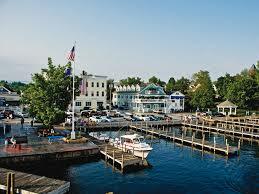 The township of Wolfeboro was founded in 1771 by Colonial Governor John Wentworth, who built ‘Kingswood’ estate. ‘Kingswood’ was the first summer country estate in New England. With its motto as “The Oldest Summer Resort in America”, Wolfeboro has long attracted visitors to its picturesque setting, mostly from other New England states. The town itself has a population of around 6,000 residents, with half of those residing in the central Wolfeboro village, and the remainder inhabiting outlying hamlets and smaller villages. Covering an area of a little under 60 square miles, Wolfeboro has a low population density of about 125 residents per square mile. This highlights the suburban/rural dynamic of the township well, and helps to identify Wolfeboro’s pest control profile as one that is standard of small town New England. The climate of Wolfeboro is temperate and falls into the ‘humid continental’ climate zone that covers all of the small state of New Hampshire. Wolfeboro and surrounding areas experience four distinct seasons per year, with warm, humid summers and cold, wet winters. Precipitation is fairly uniform throughout the year and snowfall above 60 inches per year is common in the winter. Wolfeboro and the surrounding area is generally unaffected by the most severe weather systems, although it may occasionally be exposed to dwindling hurricane and tropical storm activity. The climate profile of the area sees Wolfeboro experience pest control issues typical for much of the American northeast, with more active insect populations in the summer and an increase in pests seeking shelter from the harsh cold during the winter months. Perhaps one of the most common and troubling pest complaints in Wolfeboro, however, is the humble termite. These pests invade homes in the thousands to build their colonies, and will treat a structure as both a home and a source of food. Alarmingly, many termite infestations can go undiscovered until it is far too late to repair the significant damage that has occurred. This identifies one of the main problems with termites; often it is almost impossible to know that a destructive infestation is already underway. Some ways to identify a termite problem include looking for the following few key signs. First, there may be evidence of sawdust like termite excrement near a point of infestation. This can be easy to miss, so it is important to thoroughly check around the perimeter of a home for this clue. Second, there can be signs of obvious damage where termites have eaten clean through the wood in some small area. Again, this can be hard to detect so a thorough check is necessary. Once a suspected termite problem is located, an exterminator should be called immediately to isolate and target the pest population. However, the best method for protecting a home from termite damage is prevention. As such, it can be a good idea to schedule regular ‘termite check-ups’ with a pest control service provider in your area. Some good options for professional pest control in the Wolfeboro area include Modern Pest Services, Ecological Pest Services and Garfield Pest Control. These companies can take care of termite exterminations and inspections, as well as other common pest control needs.